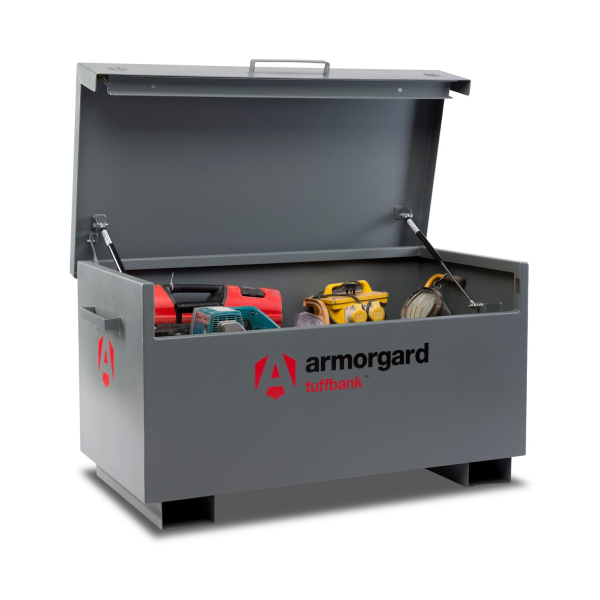 Site Boxes are part of Armorgard's TuffBank range. Built to a rigorous specification they set the industry benchmark whilst also delivering outstanding value for money. Designed to frustrate the most determined thief with a 3mm steel lid and 2mm steel body, they have many anti-theft features and reinforcements giving you insurance approved security. Available in a size of 1275mm x 665mm x 660mm. Please note that any contents shown are sold separately. Please enquire to discuss the possibility of Hire Purchase or Loan for the duration of a project. We can also offer the option to include your own branding.